Missed Diwali celebrations in India? While there’s nothing like experiencing it for yourself, here’s a bit of info about this festive holiday celebrated throughout the country. Known as the festival of lights, people light deyas, or small clay pots filled with coconut oil and a small wick, to symbolize the triumph of good over evil. 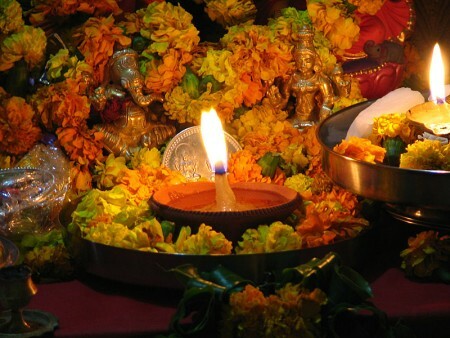 Hindus, Muslims, Buddhist, Sikhs and Jains all partake in this holiday that has its roots in Hinduism. It lasts for six days and this year it began on October 28th. The date changes yearly since, like so many religious holidays in India, it is based on the lunar calendar. Not unlike Christmas in other parts of the world, the day Diwali begins, people generally wear new clothes and share sweets and snacks.Â Paper lanterns are lit, fireworks explode and people take time out for a special puja (prayer). 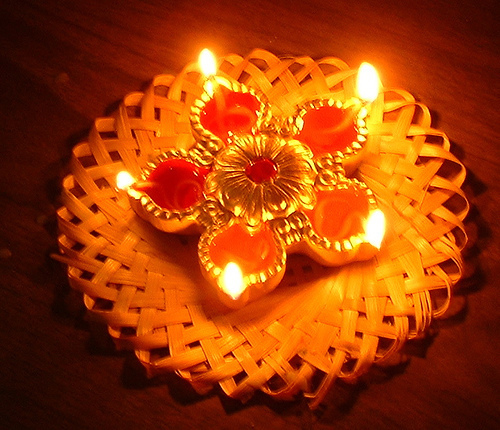 Diwali is a day to celebrate the inner light in each of us. While it’s exponentially more important to take time out on Diwali to do this, what has always struck me about Indians is their beautiful practice of incorporating prayer into their everyday life – taking time out to stop at even a poster of Ganesh for puja. Read my travel blog on at the Seattle Post Intelligencer. 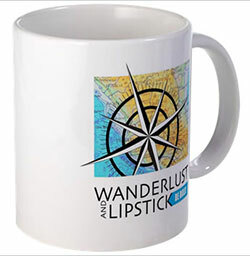 Join other Wanderlusters and help make this the most popular women’s travel blog by subscribing via email or RSS feed. You can also add this article to popular social networking sites by clicking on the buttons below. Thank you for this post. It is great to learn about the various customs of the places we travel to. I will pass this on to my readers. Diwali is celebrated with a variety of rituals, which depend in large part on one’s location, but they center on the lighting of candles, electric lights and fireworks.